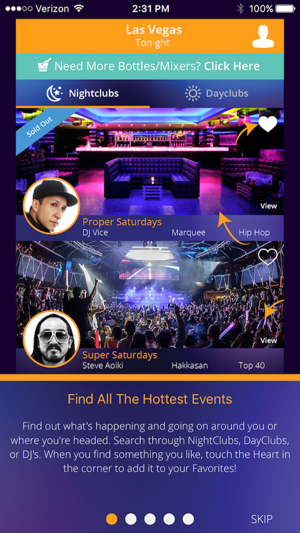 Purchase entry or book table service instantly for the hottest nightclubs, lounges, pool parties, and events around. 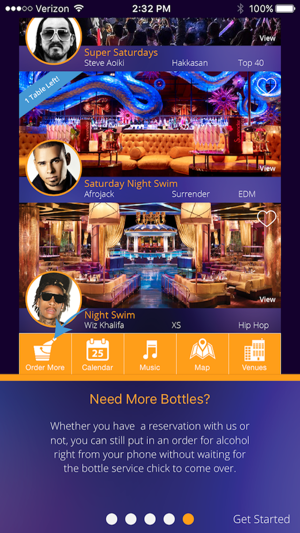 Bottles Waiting makes reservations live with the venue, allowing you to choose exactly where you'll sit at the club, and even alerts you to which celebrities are sitting where! 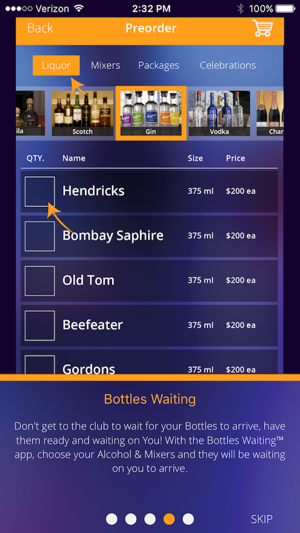 Not only will we have your "bottles waiting" when you arrive, you can bypass that busy cocktail waitress and order another round of champagne right from the app! 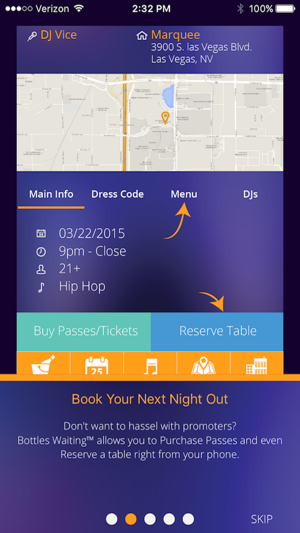 - Order drinks, food, and mixers right from the table! - View and approve all charges (even tips) ahead of time — no surprises! 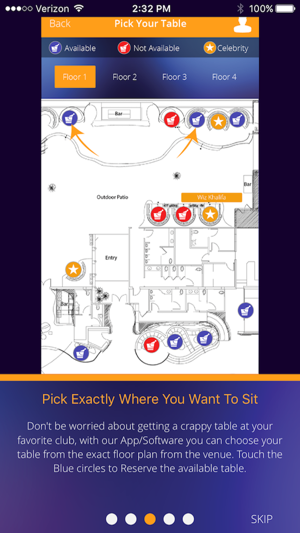 Don't see your favorite venue or city in the app? Let us know and we'll add it ASAP: help@Bottleswaiting.com. Not many cities (only palm springs and Denver) and there are not many events hosted in the app. The images show Vegas but Vegas is not a city I can select in the app. Very unintuitive user experience. I have to say I used this application in a real life situation and it saved my night. I found the perfect place for an evening with little effort. I was in a city I didn't knew too many about and this app was my friend. I recommend it. Nicely done. I see a lot of potential here. Finally, a way to avoid calling the club. © 2018 Bottles Waiting Inc.